Whether you are new to bullion investment or not, it is important to understand the differences between the two precious metals and the two main bullion forms they are sold in. Before making your decision it is advisable that you conduct some research and weigh up the pros and cons. There is no definitive right or wrong answer, choosing what to invest in is down to the circumstances of the individual investor. When it comes to buying bullion there is often some misunderstanding about what bullion constitutes. There is a common misperception that bullion only refers to a rectangular bar of gold and that coins do not fall under the same category. Furthermore, some investors believe that bars are the only way to buy cost effective gold and that coins are too expensive and in more limited supply. However this is not the case, bullion can come in the form of bars or coins, each having a range of different benefits to the investor. 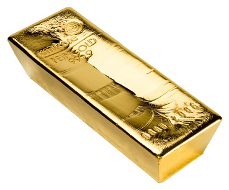 Larger bullion bars are usually considered by serious, large scale investors. The reason behind this is mainly due to scales of economy, the greater the quantity the better the value for money. However, there is a trade-off, large bars are not as flexible to sell. For example, if an investor bought a 1kg bar in 2012 and decided in 2014 they wanted to release 200g of their investment, they wouldn’t be able to sell part of the large 1kg bar. On the other hand, if the investor had bought 1kg of gold in 10 units of 100g, then liquidating part of the investment could be achieved easily - View all gold bars. Although larger gold bars are an efficient way of buying gold, coins often prove to be a better investment. Despite an additional price premium over bars, this becomes almost negligible when buying larger quantities. Purchasing bullion in the form of coins gives the investor far more flexibility in comparison to larger bars. Added flexibility comes in the form of a smaller unit size and the potential for Capital Gains Tax (CGT) exemption. 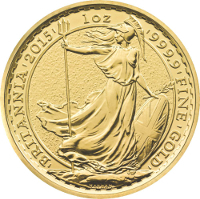 CGT exemption is currently available on our Sovereign and Britannia coins, further details can be found in ‘CGT on Bullion’ section. When the time comes to sell your investment bullion coins and bars are both worth their weight in gold - View all gold coins. Individuals who are new to precious metal investment often question if it matters which they choose. Unfortunately there is no simple answer, like many things it all depends on the individual. Some savvy investors choose to own both, owning a mixture can be an effective way of diversifying and reducing risk within your portfolio. Gold is suited to investors looking for personal wealth protection and the diffusion of risk inherent with other forms of investment. Frequently regarded as a safe-haven, the price of gold is influenced by fluctuating supply and demand trends. Gold gives you an ideal wealth foundation, providing investors with the opportunity to maintain their personal purchasing power - View our Top 5 Gold Investments. Silver is often viewed as a more volatile commodity. Price is influenced by both commercial and investment demand, leaving it open to more erratic price movements. As a result, silver tends to appeal to investors who are less risk averse. Many gold investors choose to diversify their gold investment with silver, doing this gives them exposure to the potential benefits of larger price surges - View our Top 5 Silver Investments.